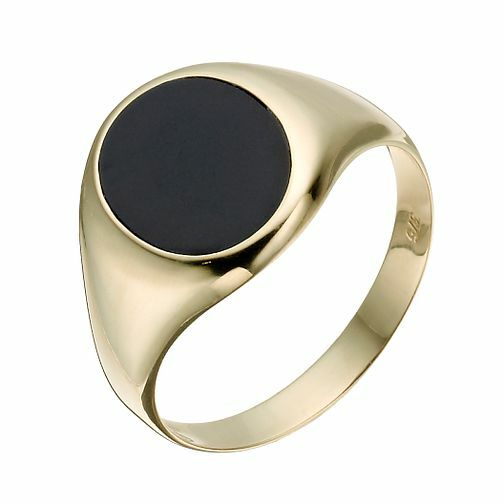 This classic 9ct yellow gold ring is finished with a striking onyx oval at its centre. Simple yet distinctive, this ring offers bold sophistication. 9ct yellow gold oval onyx ring is rated 5.0 out of 5 by 2. Rated 5 out of 5 by Anonymous from Looks great I'm very happy with the look of the ring. For the price I think the quality is good after looking around at other sites. Also it looks just the right size in proportion to my hand, not too big or too small.